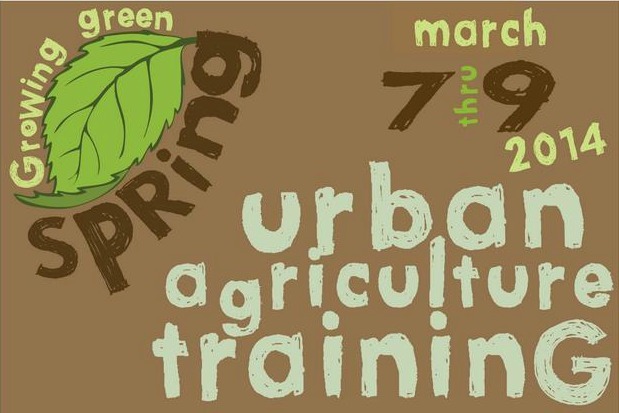 You can tour an urban farm, learn about keeping chickens and learn the basics of aquaponics during Growing Green Spring Urban Agriculture Training, hosted by the staff of Massachusetts Avenue Project (MAP). 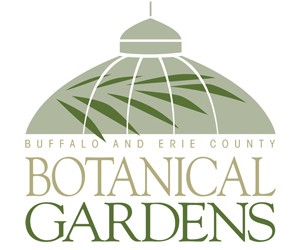 It takes place Friday through Sunday, March 7 to 9 in Buffalo. The cost for Saturday only is $150; for Sunday only, $125; free for the Friday evening reception, and $225 for all three days. The deadline to register is Feb. 28. Click here to register. At the event, you’ll also be able to hear from regional experts on food system planning and development as well as to network with other beginning or established urban farmers. Dr. Samina Raja, Ph.D., professor of Urban and Regional Planning at the University at Buffalo, will give the keynote address. You can see the entire schedule and locations here. Moving Local Food Policy Forward. Public policy impacts all aspects of our food system. This workshop will discuss strategies for and challenges in engaging policy makers, the process of creating a Food Policy Council for Buffalo and Erie County and the lessons learned in the process. Led by Diane Picard, MAP’s executive director. 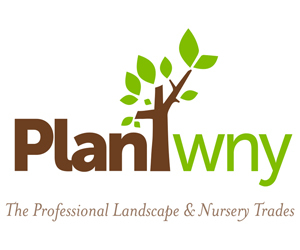 Farm Planning and Management. An in-depth look at the management and function of MAP’s urban farm during all four seasons. Led by Jesse Meeder, MAP’s farm manager, and Katie Pfohl, MAP’s farm and markets assistant. Hands-on Farm Work. Pitch in and help out with some basic urban farm chores. Work may include starting seed trays, caring for baby chickens and creating potting soil. Please sign up in advance, as space is limited. Led by Jesse Meeder, MAP’s farm manager. Aquaponics Basics. Learn the basic principles behind aquaponic fish farming, get an in-depth tour of MAP’s aquaponic systems and have the opportunity to ask questions. Led by Jesse Meeder, MAP’s farm manager. Value-added Products. MAP’s value-added products sell at more than 20 local venues and farmers markets, and in seven Wegmans stores. This workshop will walk participants through the nuts and bolts of developing a value-added product to support the local food system, from farm to shelf. Led by Katie Pfohl, MAP farm and markets assistant, and Danielle Rovillo, MAP markets director. Farm-to-school Panel. Students complain that the food at school is gross and parents worry that it’s unhealthy, but local schools and districts have partnered with farmers to bring fresh, healthy, appealing food to school communities. This panel will focus on the experiences, challenges, and best practices of people working to make this happen. Moderated by Rebekah Williams, MAP youth education director. Panelists include Janet Forbes, Creating Healthy Places coordinator at Chautauqua County Health Network; Catherine Christopher, director of Childhood Nutrition at Williamsville Central Schools, and Bridget O’Brien Wood, director of Buffalo Public Schools Food Service Department. Urban Farms & CSA Panel. Meet several local urban and regional farmers and hear about their experiences, challenges and successes. There will be plenty of time for questions. Moderated by Jesse Meeder, MAP’s farm manager. Panelists include Mark Stevens of Wilson Street Urban Farm, Matt Kaufman of 5 Loaves Farm and Andrew Oles of Promiseland CSA. Community Gardens 101. Are you trying to start a community garden or sustain the one you belong to? This workshop will provide resources for starting and sustaining community gardens as well as strategies for engaging diverse community members and organizations to ensure success. Derek Nichols, program manager of Grassroots Gardens of Buffalo and Gerldine Wilson, community leader with Grassroots Gardens of Buffalo. Composting. Visit a a large-scale composting operation and see firsthand how MAP and others make organic, high-quality soil in the city. Led by Jesse Meeder, MAP’s farm manager. Urban Chicken-Keeping. Learn how to raise, feed and harvest chickens, with a special focus on doing that in an urban environment. Led by Katie Pfohl, MAP farm assistant. Youth Education and Leadership. MAP has employed and trained hundreds of low-income youth in Buffalo. Hear about it and get tips and techniques to educate, engage and empower young leaders. Led by Rebekah Williams, MAP’s Youth Education director. Farm Sales. Learn different strategies for selling your produce to diverse markets via farm stands, a mobile market, restaurant sales and CSA’s. Led by Katie Pfohl, MAP farm and markets assistant and Danielle Rovillo, MAP markets director. The Massachusetts Avenue Project hosts the Growing Green Program, a youth development and urban agriculture program. The urban farm covers more than an acre of reclaimed vacant lots in a residential neighborhood on Buffalo’s West Side. Youth work together to grow, market and distribute organic produce. The farm features a 1,000-gallon rain water catchment system, floral and perennial garden beds, two greenhouses, chickens, a vermiculture composting (worm composting) system, and multiple aquaponics systems raising fish and plants in a symbiotic system. I would love urban chickens, but I doubt my neighbors would. Our city does not allow them here.